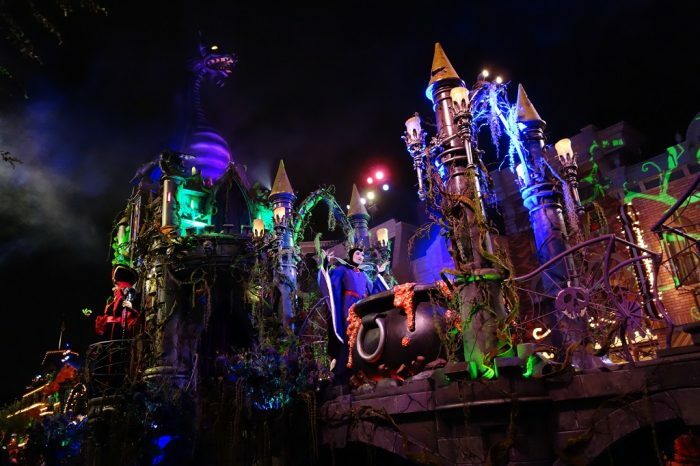 Part of the separately ticketed Mickey's Halloween Party, the Frightfully Fun Parade features Jack Skellington, ballroom dancers and gravediggers from Haunted Mansion, Dr. Facilier from The Princess and the Frog, and many other Disney villains. 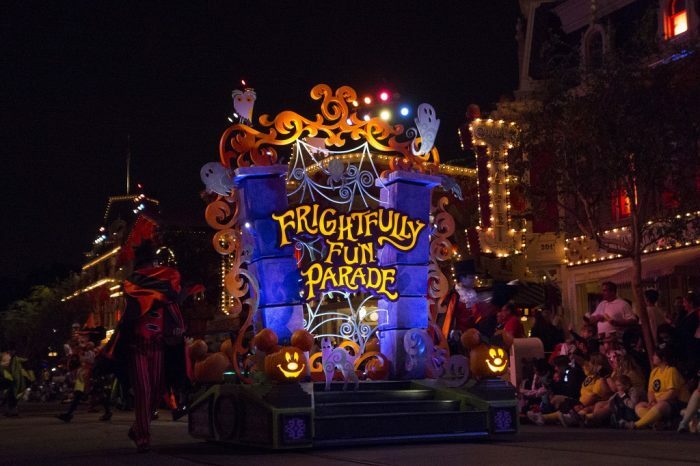 Frightfully Fun Parade is a huge improvement over the former Mickey’s Halloween Party-exclusive parade, Mickey’s Costume Cavalcade. Some would argue it even rivals Magic Kingdom’s popular Boo To You Parade. The Headless Horseman of Sleepy Hollow kicks off the parade. The first performance of the parade starts near ‘it’s a small world’ at 8:50 p.m. The second performance starts at Town Square on Main Street at 10:30 p.m. As with all parades, depending on where you’re situated on the parade route, it could take 15 minutes or more for the parade to pass your location. 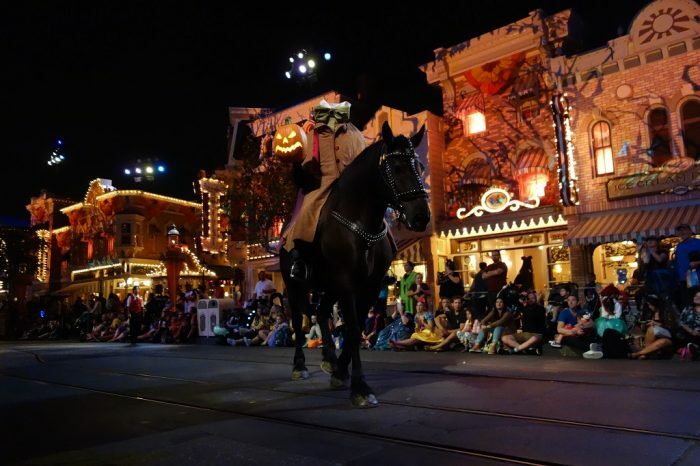 About 10 minutes before each parade the Headless Horseman will ride down the parade route. Try to get a spot for the parade at least 30 minutes before showtime. If you can, get a viewing spot on Main Street. Then you can watch the fireworks, which are performed almost immediately after the first parade.